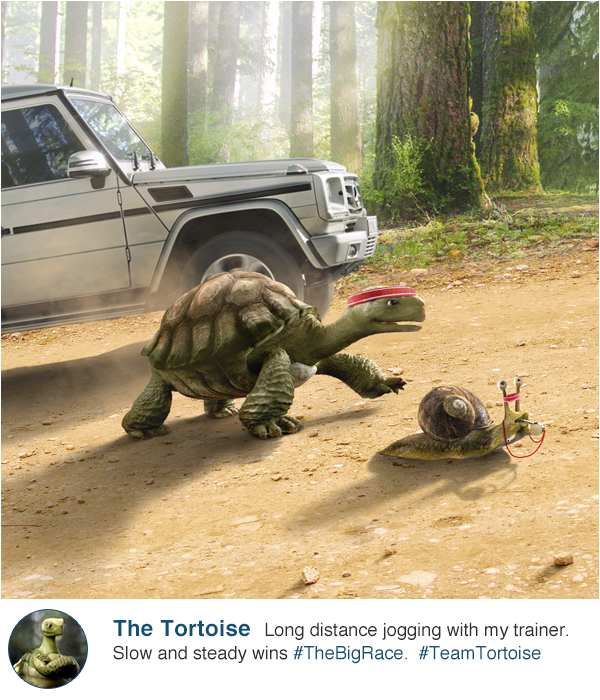 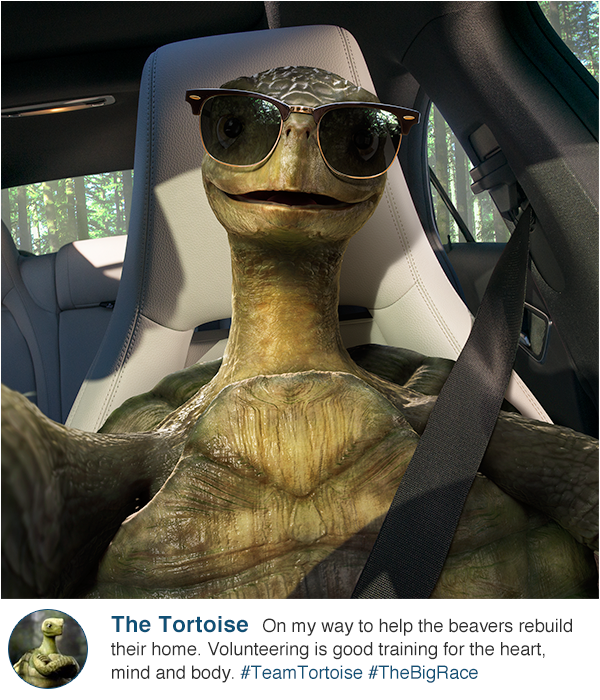 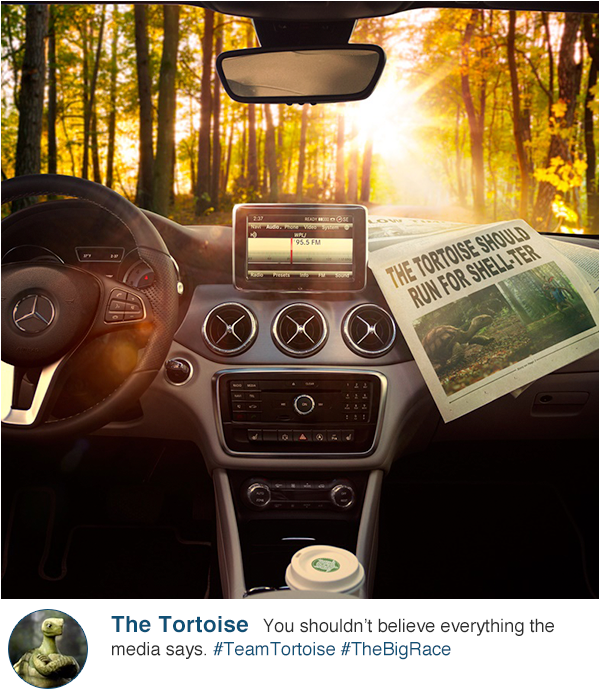 Mercedes-Benz created a Super Bowl commercial that followed the classic tale of the Tortoise and the Hare. 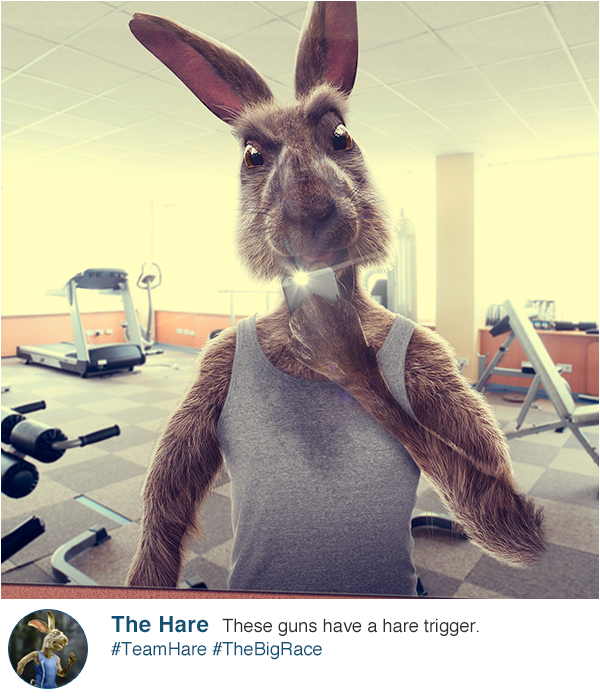 We were tasked with developing the social media personalities of these characters. 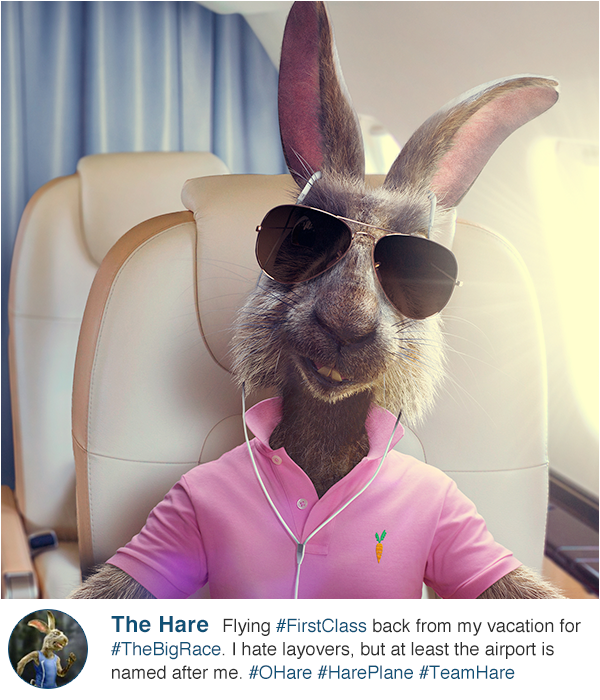 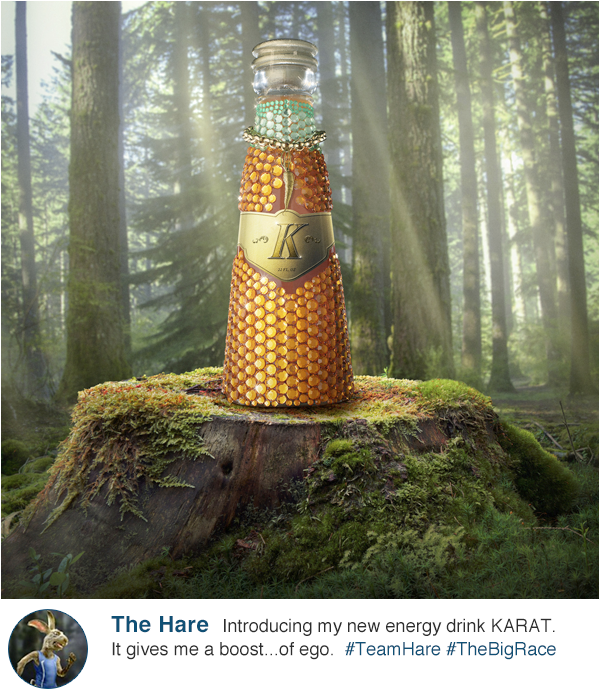 So, how do you make a CGI rabbit look like the biggest jerk on earth?